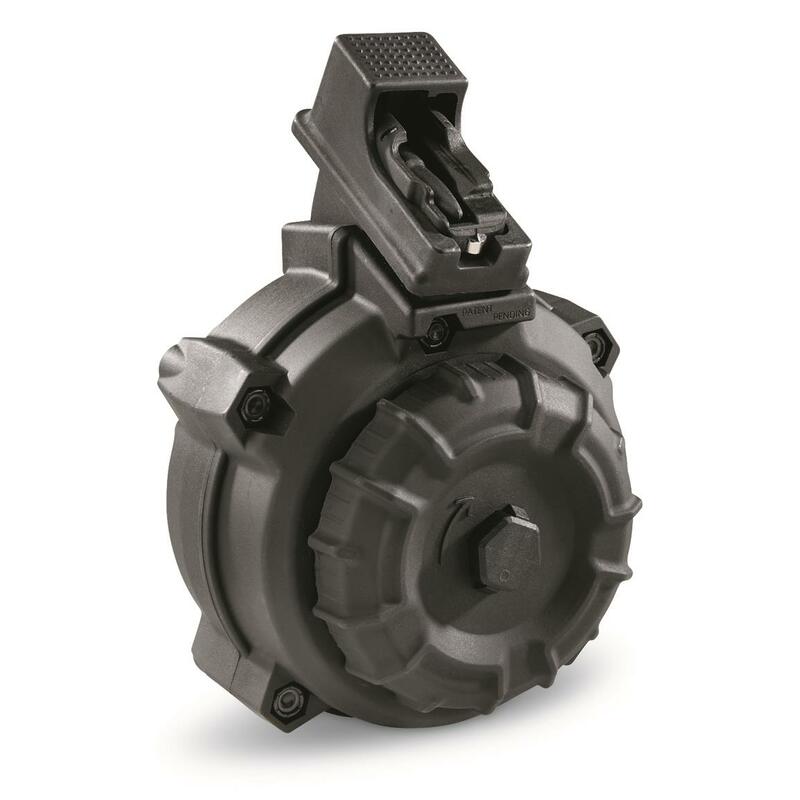 Designed to fit your AK-47, this ProMagTM Replacement Drum Magazine will provide guaranteed reliability and smooth-feeding action for your favorite rifle. Durable polymer construction with 50-round capacity. ProMag AK-47 Drum Magazine, 7.62x39mm, 50 Rounds, Polymer is rated 5.0 out of 5 by 1. Rated 5 out of 5 by AKfan54 from Great hicap mag Bought this magazine for its high capacity yet compact design. Loaded it up using the easy loader provided with it saving on my thumbs. Took it out just to function test it. Rocks in place like any AK mag. It cycled every round without a hickup. Fifty rounds down range no problem.